Successful A-list actors and some of the most beautiful people on the planet, Charlize Theron and Brad Pitt are reportedly dating. According to various reports comingfrom all over the place, the couple has been dating for a month now and they have been spending a lot of time in Brad’s Los Feliz, California home. The couple was introduced by Charlize’s ex-fiancé Sean Penn and they grew close over the time. “They have been casually seeing each other for nearly a month now. They’ve been friends for some time, ironically through Sean, but things have developed,” said the source close to the couple. According to various sources, the couple got cosy last weekend after Pitt, 55, hosted a screening of his movie “If Beale Street Could Talk” and Theron, 43, was a guest of honour at a “Roma” event at Los Angeles’ Chateau Marmont. After his screening, Brad came over to Chateau, in a different outfit and joined Charlize in a corner of the bar. “She was on a vodka cocktail while he stuck to mineral water. They were ridiculously touchy-feely and his arm was around her back. At one point he winked at her,” said the insider claiming they looked quite happy and Brad seemed to be in a good place alluding on his sobriety. 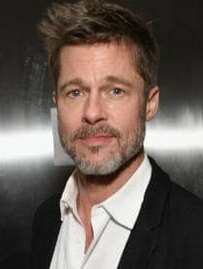 Brad Pitt quit drinking and sought therapy after his split from second wife Angelina Jolie in May 2017. Rumours related Brad Pitt with his first wife Jennifer Aniston couple of months ago but they both denied it but his relationship with Theron seems real. Charlize’s last public romance which ended in June 2015 was with Penn. Rumour has it that Jolie and Theron have been feuding for years over movie roles. RadarOnline claimed that Jolie was stalling on committing to a Bride Of Frankenstein remake just to annoy Theron and stop her from accepting other roles. Then Theron was considered for The Murder at the Orient Express role after Jolie first turned down but then wanted back. The role was given to Michelle Pfeiffer since later neither of them accepted the role. And that’s not the end of it as Jolie starred in The Tourist after Theron first turned it down. We can’t wait for the official comments after these romance rumours emerged but they might bury the hatchet and be one big happy family. Pitt and Jolie reached a custody agreement over their 6 children in November 2018 after battling for two years. Theron has two adopted children.